We Drink Your Milkshake! : Fantastic Fest 2015 Announces First Wave of Films! 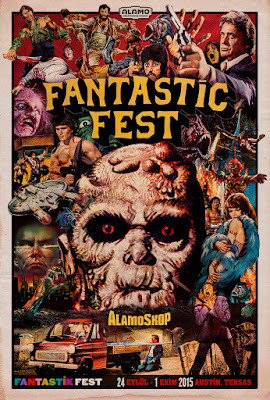 Fantastic Fest 2015 Announces First Wave of Films! It's about to be that time of year again. That wonderful time where movie nerds flock to Austin to gorge on a feast of genre films. It's THE festival you want to go to if you love film, plus it's located at one of the best theatres in existence, The Alamo Drafthouse. Clearly, it's one of our favorites. So today, Fantastic Fest announced its first wave of films, including a world premiere for its closing night film. There's already so many great films listed, and this is just the first announcement. Plus, there's going to be a retrospective of Turkish Genre Cinema. Now you can't get that anywhere else except Fantastic Fest. Members of the film industry who purchase either a FAN or SUPERFAN badge can apply for a free INDUSTRY upgrade and Fantastic Market access by filling out the form here. Only approved industry will be considered for access to FANTASTIC MARKET. All Industry requests must submitted by no later than August 15th, 2015.